Learn about mental health in schools and how to find school supports for students in Ontario. Children and youth spend a great deal of their lives at school; struggling with a mental health issue can affect their school life. They may behave in different ways with teachers and classmates, have difficulty making friends, or avoid going to class. Having difficulties can affect their grades. All of these issues can make things worse for them. Ontario is dedicated to supporting the mental health of students. Promoting positive mental health, identifying students at risk, and helping them to get the support they need are all roles that the education system can play. A student’s teacher may notice signs and symptoms of mental health challenges that parents do not see at home, and vice-versa. It is important for parents and school staff to talk about these early signs and symptoms. If a student is identified as “at risk” by a parent or teacher, a school support team may come together to develop a plan. The team will be a group of school staff who know the student well, such as teachers from different classrooms, front office staff, a guidance counsellor, a school coach. The school support team will work together to plan for next steps and connect the student and their family to resources. There are many different things that a school can do to support the student who is having difficulty. Some of these services are outside of the school system; for example, a referral to a doctor or a psychiatrist. Other services exist in the school system itself, such as providing extra time for a student to write a test, or visiting an in-school counsellor. Services and supports vary from school to school and can be accessed by talking to the school support team about what is right for the student. Everyone has a role to play in creating the most appropriate support plan. The student and the parent(s) are experts on what they may need to feel supported. The school staff have knowledge and access to care professionals and resources that the parent and student may not be aware of. Working together and sharing this different expertise can help to create a successful plan. Who oversees mental health in my school board? 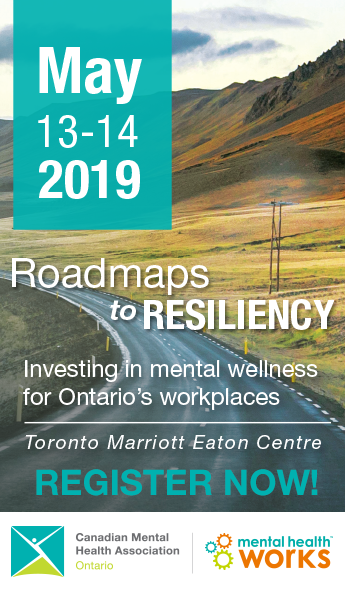 Every Ontario district school board has a Mental Health Leader (typically a senior clinician) and a Superintendent with shared responsibility to create and implement their district school board’s mental health strategy and action plan. What happens if a student needs time off from school? Sometimes, a young person may need to live in a residential treatment location for a while until they are feeling better. If this happens, their education does not have to stop. Many treatment facilities have continuing education as part of the overall program. Students may spend a few hours a day on their schoolwork so that they don’t fall behind. Some facilities may also contact the young person’s school to have work sent over. Encourage communication between the residential treatment location and school support team to create the best solution for the young person in care. It is important to also remember that transitioning back into school can be overwhelming and stressful for a young person who has been away. Talk to your school support team about transition supports available in the school. Free, anonymous and confidential professional counselling by phone or online, available 24/7 for kids and youth 20 years of age and younger. Recommendations for research, policy and practice in school mental health, based on findings from a literature scan and national survey. Links to a wide range of information to help make Ontario’s schools healthier places for students to learn and grow.